These red velvet, choc brownies are not just vegan friendly. They’re also really great if you’re trying to cut down on your dairy intake. As a treat they’re also a great way to get 3 or your 5 a day! And have less calories than a regular chocolate brownie, without loosing that soft gooey chew!. 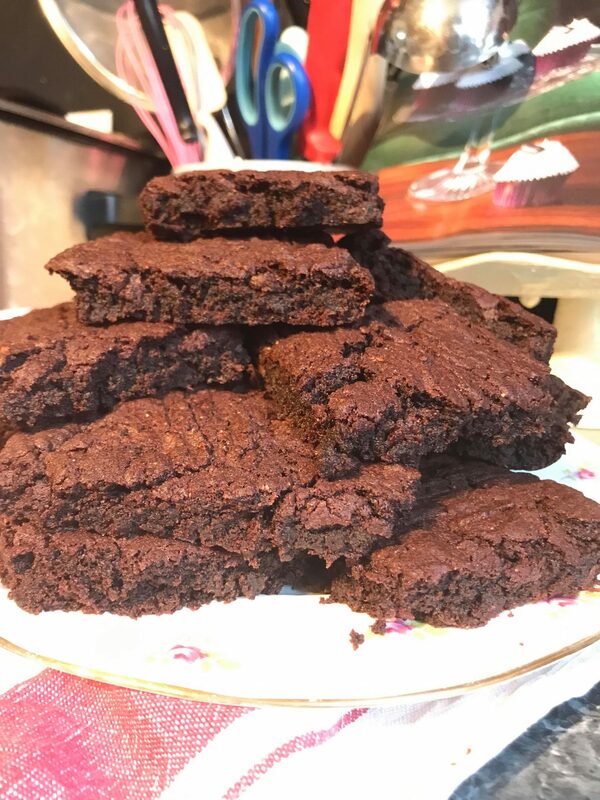 Who doesn’t love a choc brownie? Made using vegetable oil, a beetroot, banana and a single carrot instead of your regular milk, butter and egg wet mix. I’ve tried to give instructions that are fool proof and easy to follow. •Once again mix vigorously. Don’t stop until it becomes a nice soft dough – because you’ve no eggs in the mix, the dough also makes great edible play dough for messy play days with the kids. Sieve your combined dry ingredients to make it as fine as possible and for even more of a spongey bounce use cake flour. Want to go full fat and dose up the dairy? Remove the banana, beetroot, oil and carrot and replace with egg, butter and milk. These rich, chocolatey treats are perfect with a cuppa or to add a sweet snack to a packed lunch. Stick the kettle on and enjoy! You can’t tell the difference from the original recipe!! So good!!! yep and nut free too so literally everyone can enjoy! Oh my goodness, this is something I haven’t seen before! We will be trying this! We’re not vegan but always up for trying vegan alternatives. Thanks for sharing. This is great, really like the use of carrot and beetroot – there’s so many recipes out there for this which are just super heavy on the dairy-free butter or oil. If I am honest I was really shocked with how well they turned out! Because they WERE-(gone in seconds!) really tasty! I have a friend who can’t have dairy, so I’ll have to give this a go! Definitely do, they actually turned out tastier and more chocolatey!